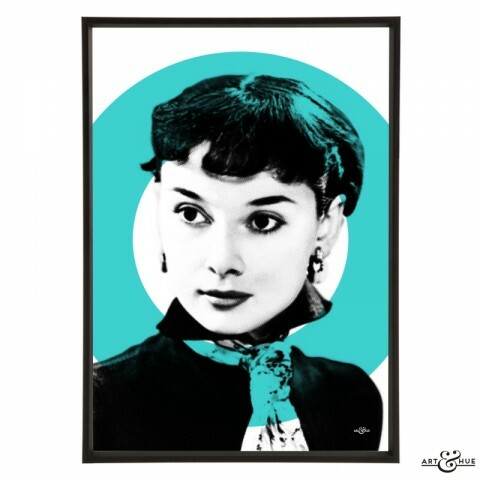 On this day in 1951, British film director Thorold Dickinson filmed Audrey Hepburn’s screen test at Pinewood Studios. 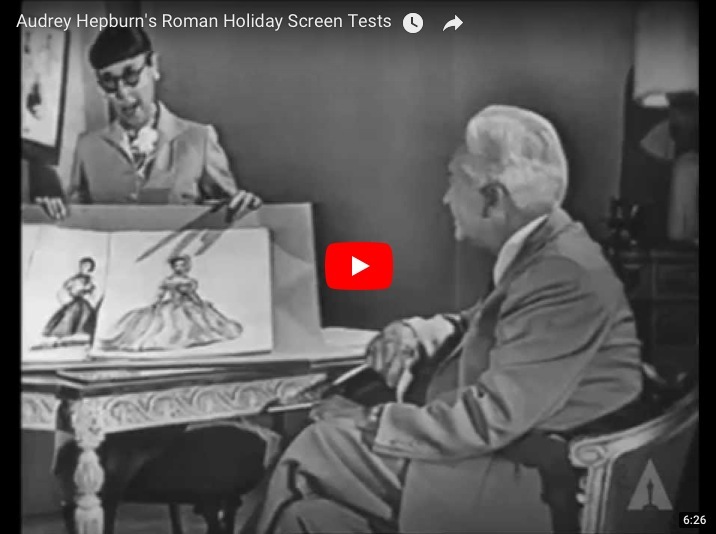 It was widely anticipated that a well-known access would be cast in the film but director William Wyler was smitten with Audrey the moment he watched the screen test. 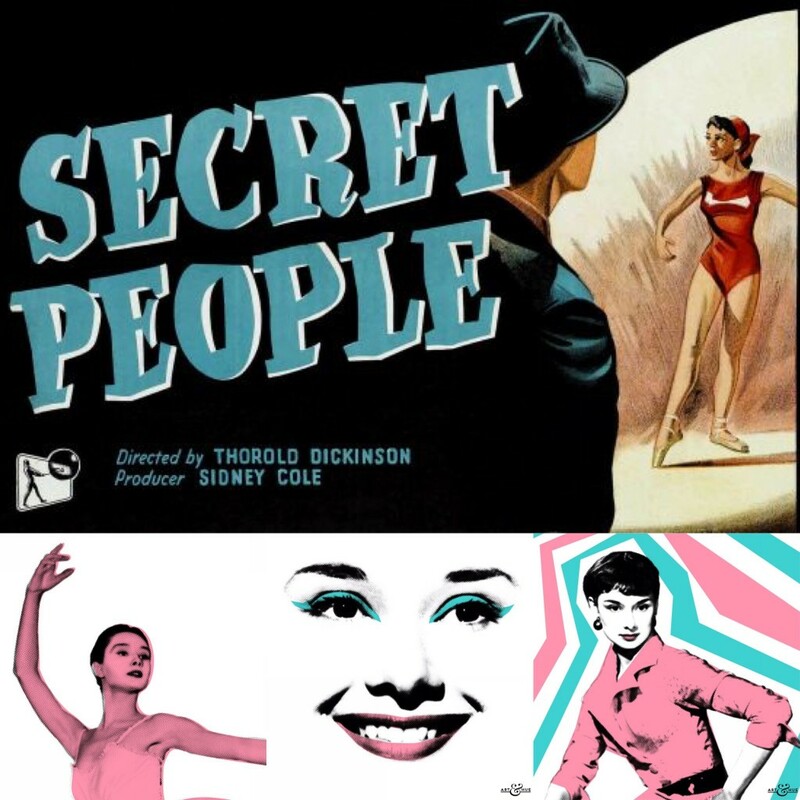 Audrey had bit-parts in classic Ealing comedies such as “The Lavender Hill Mob”, but it was dancing as a chorus girl in the West End where she was spotted by director Thorold Dickinson who cast Audrey in her first main supporting role in the film “Secret People”. 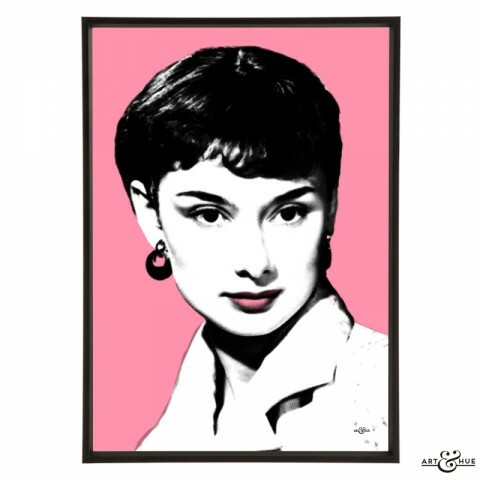 If it wasn’t for Thorold Dickinson casting Audrey in “Secret People” 65 years ago, and then filming her screen test for “Roman Holiday”, the world may have been deprived of Audrey’s iconic characters that defined Mid-Century cinema. 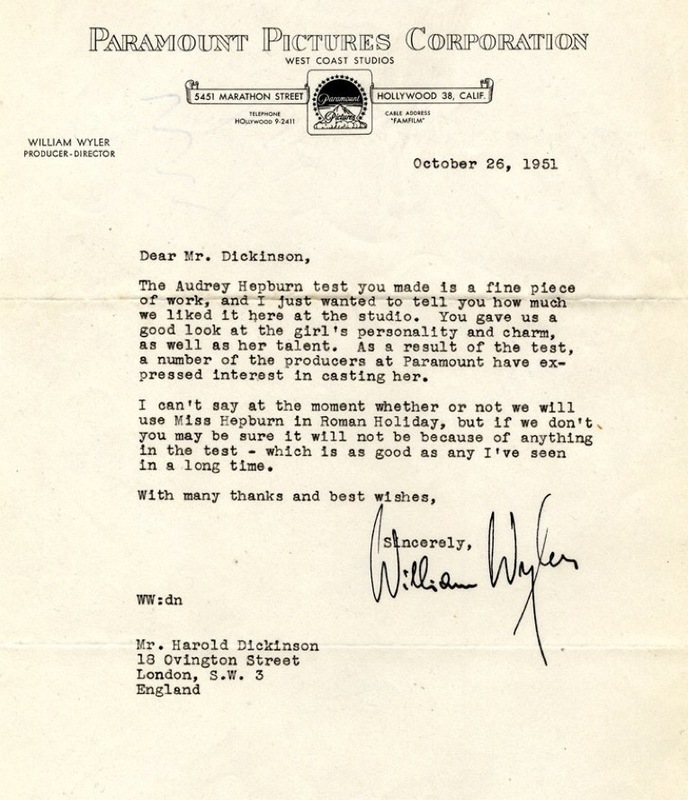 The screen test was described by Wyler as “a fine piece of work” and “as good as any I’ve seen in a long time” in the letter below at the BFI (wrongly calling Dickinson “Harold”). 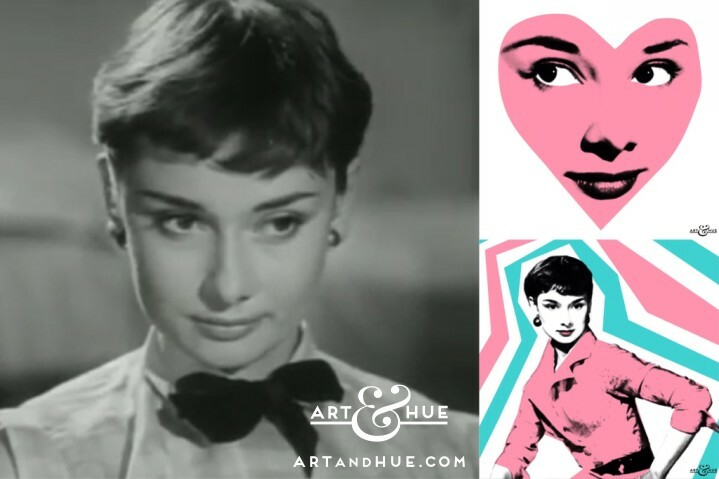 Take a look at Dickinson’s screen test of Audrey Hepburn below (also featuring the legendary Hollywood costume designer Edith Head), then explore the pop art collection inspired by images of the budding actress taken as publicity shots in the same year, including previously unseen shots of Audrey. 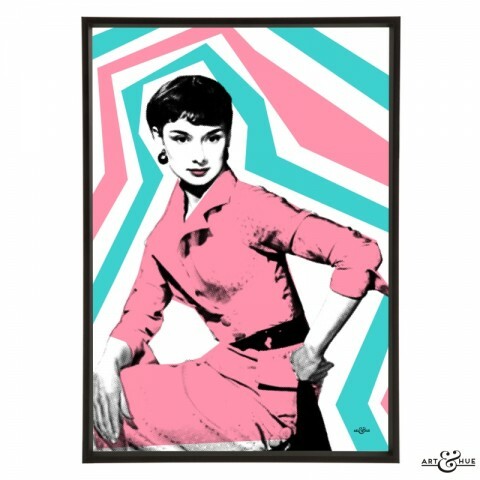 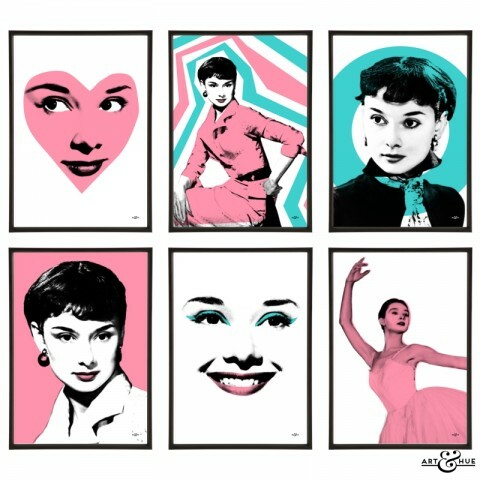 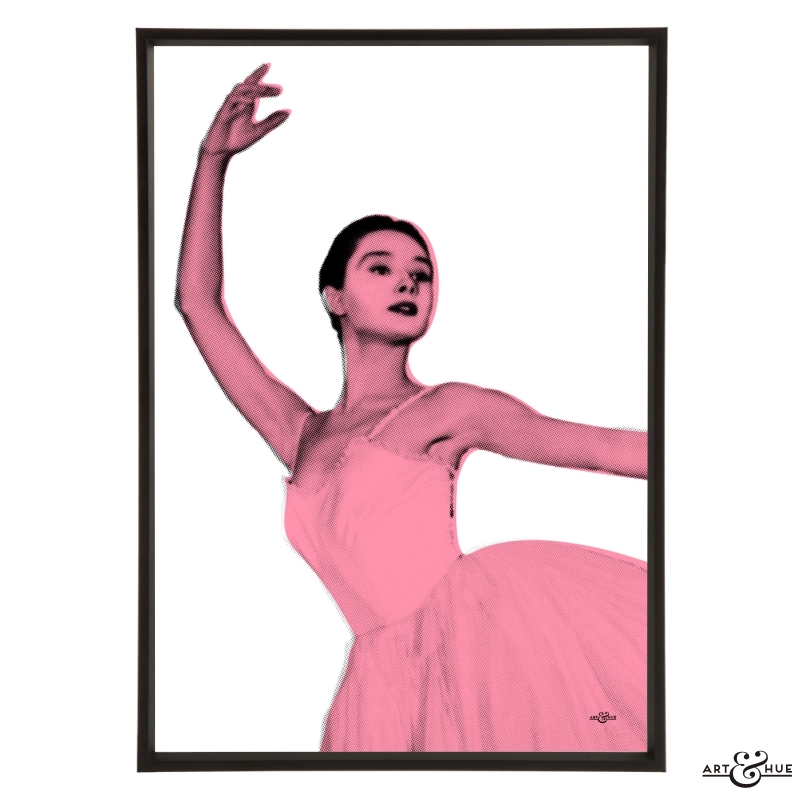 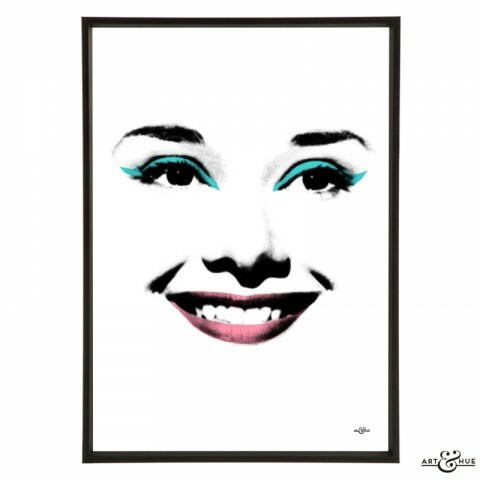 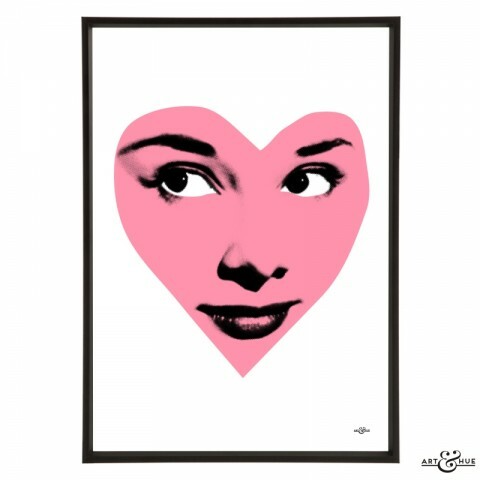 All Audrey pop art is available in 3 sizes and 17 colours, including a new shade called “Think Pink” in honour of the actress.